If you could smell my kitchen right now, you’d be in a warm pumpkiny-spiced Heaven. As the fall weather hits, the gold and red leaves touch the ground, and the wonderful season that hosts winter squashes, brings about such a whimsical sense of holiday cheer. And nothing, absolutely nothing, says holiday cheer to me than PUMPKIN. Actually, pumpkin, kabocha, butternut squash, kabocha, acorn squash, spaghetti squash, kabocha, fairtale pumpkin squash… they’re ALL my way of getting into that holiday feel. 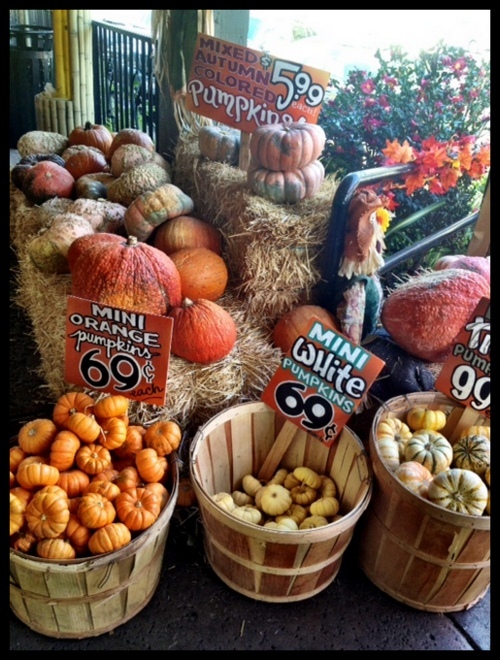 If you’ve been to any grocery store lately, you know that pumpkins, squash!, are everywhere in drones. Fitting since it’s Halloween, but still. It’s time to start incorporating squash in your life. Which leads me to today’s post. 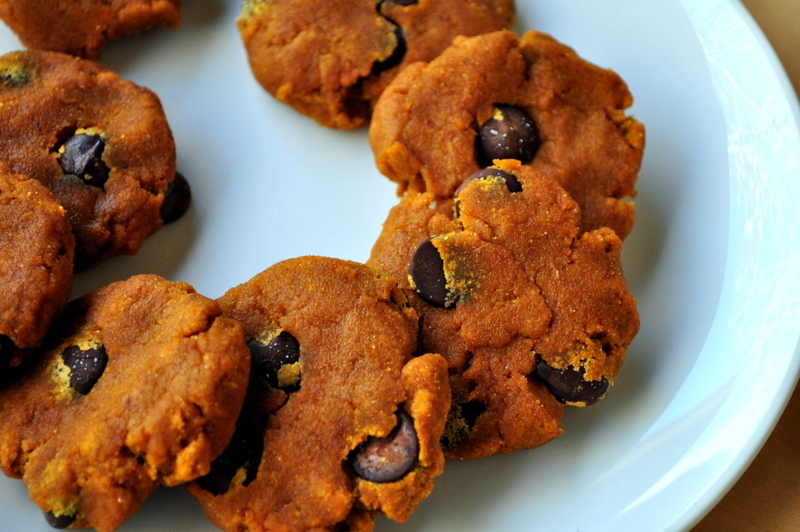 Warm, spiced, dotted with chocolate chips. In cookie form. 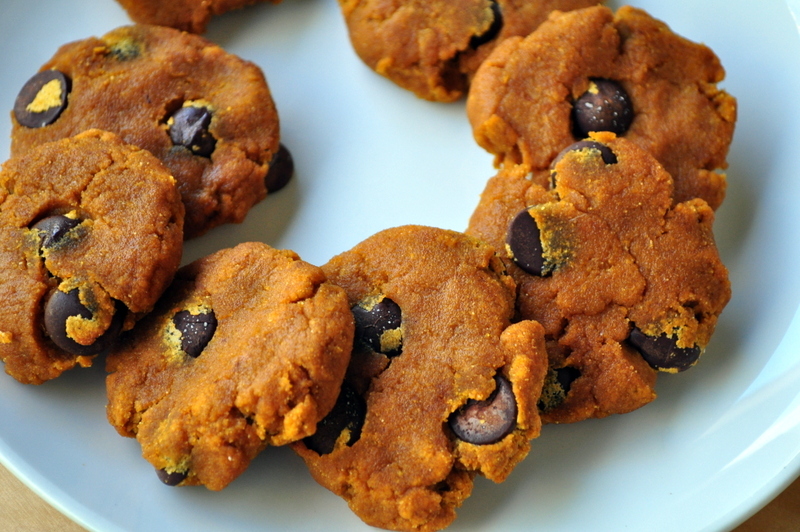 Want an EASY pumpkin cookie recipe? Sure ya do. Take this post as a start to holiday cheer. Loaded with pumpkin. 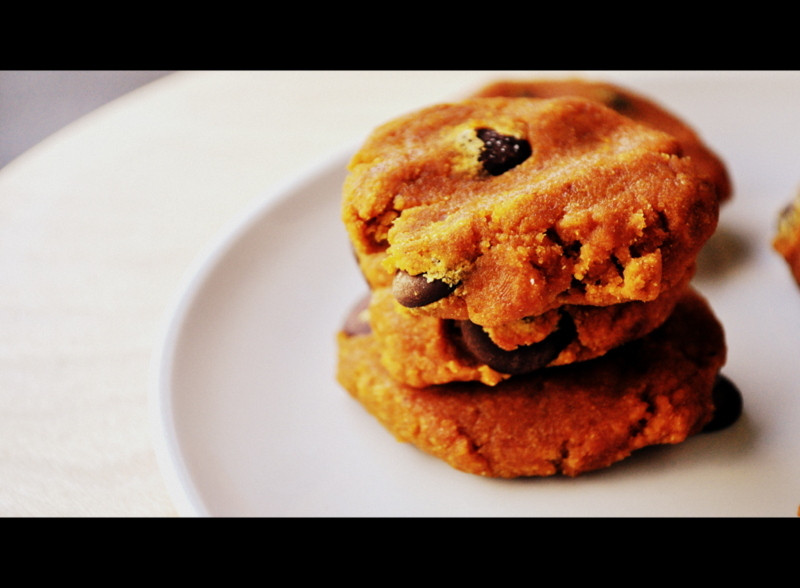 With a super short list of ingredients, making for a healthy and comforting cookie, you’ve got to try these babies out. Combine eggs, pumpkin puree, spices, and salt in a medium bowl. 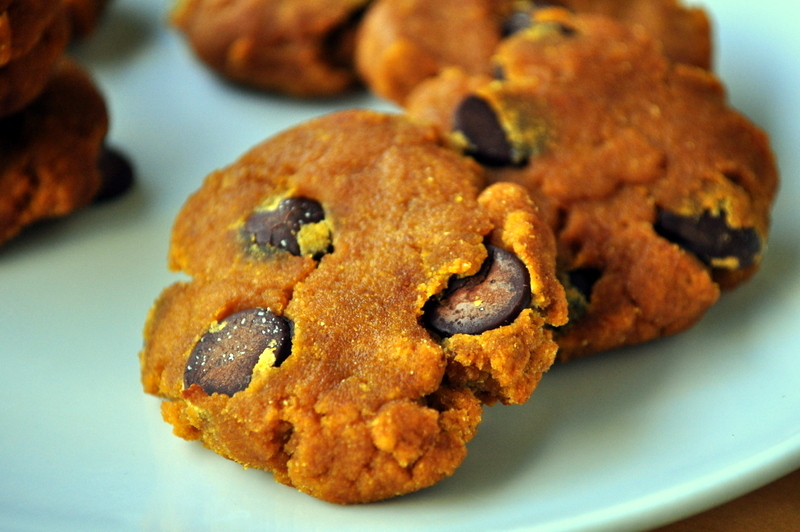 Add the coconut flour, coconut sugar, if using, and chocolate chips, mixing only until incorporated. Let sit for a few minutes to have coconut flour soak up some of the liquid. Try to not over mix. Mix slightly again, making sure all of the coconut flour is broken down and incorporated. On a parchment lined baking sheet, scoop 2 tbsp batter into rounds and flatten slightly. Bake for 20-25 minutes or until goldeny brown or slightly crisped. What is holiday cheer to you? Pumpkin fan? What type and what recipe? I always welcome ideas! Made these tonight. Taste good but I’m going to add a little maple syrup along with coconut sugar crystals next time. I like mine a tiny bit sweeter. Thanks for the recipe:). Happy Thanksgiving. Great minds think alike! I also have a big, ever-changing stash of squash on the counter. 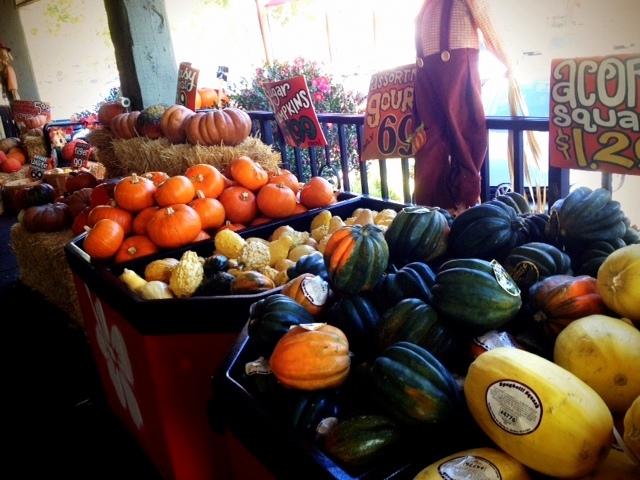 Kabocha, acorn, delicata, red kuri, I’ve got ’em all. 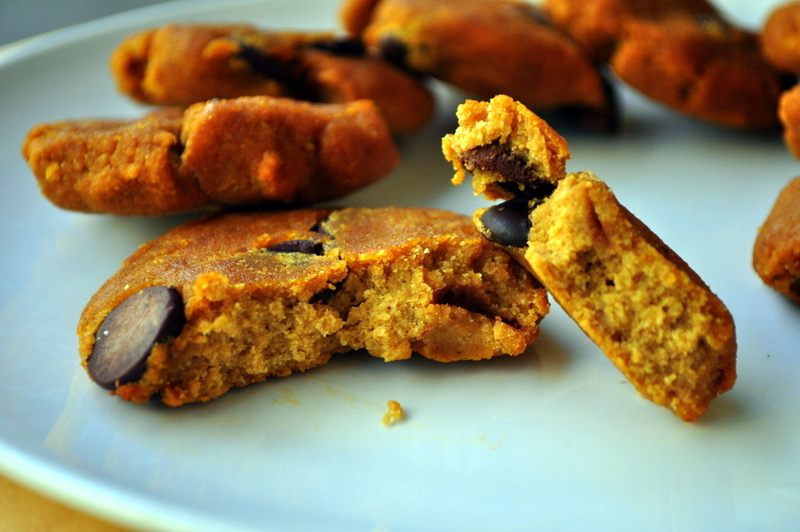 And I recently tried and loved a pumpkin chia chocolate chip cookie recipe from the Purely Twins blog. These are great! I used 1/3 cup of the Enjoy Life mini chocolate chips so there was plenty of chocolate in each bite & mine took 20 minutes. Thanks for the fabulous recipe! Do you think you can use another type of squash… butternut or acorn… in place of the pumpkin (or perhaps even sweet potato)? I think you could use any type of squash! Butternut would be fantastic! 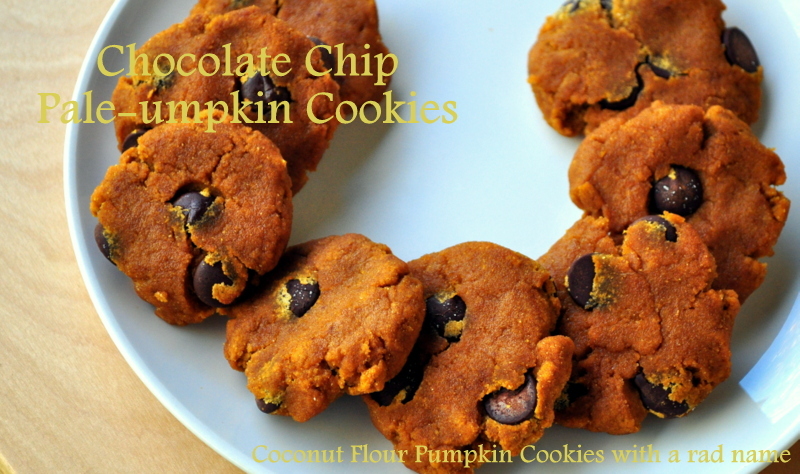 If I have time, I’ll try these with ‘flax eggs’ and let you know how they turn out. Would coconut nectar work for the coconut sugar? Yum, yum, yum! I love Lori cookie recipes!! oooh yum . . . . I too love all things remotely squash related. 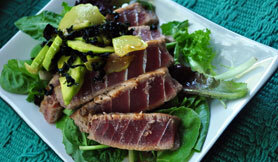 What can be substituted for the coconut flour and coconut sugar crystals? You could definitely sub the coconut sugar crystals with anything… honey, sugar, stevia (although I’d use a LOT less), even fruit like a ripe banana will add a wonderful sweetness. The coconut flour, you could sub with any other type of gluten free flour you’d like but you may have to use a bit more flour, as coconut flour soaks up a lot of liquid so you usually use less. I’d suggest trying almond meal/flour! Let me know if you try any subs! Thanks Lori! Would a whole banana be good? With adding a banana in place of crystals would anything else need changed in the recipe? I have nunaturals baking blend. How much would i use in place of the sugar? Pale-umpkin! Love the name. They look awesome. 🙂 Happy Halloween!